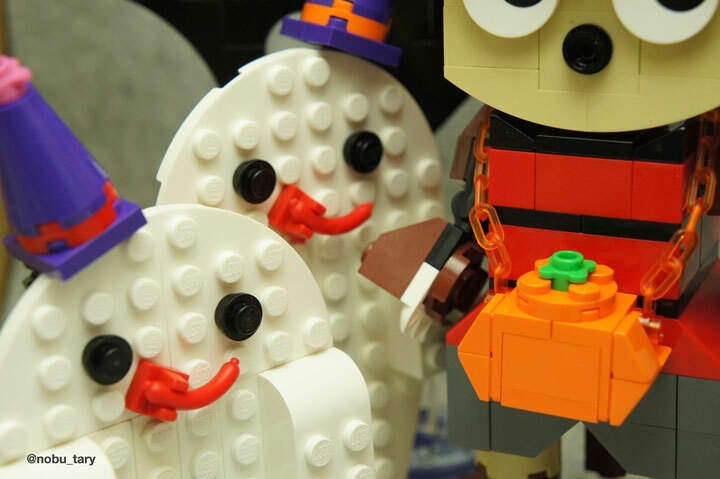 It is that time of the year where all the ghosts and ghouls come out and play with Lego. 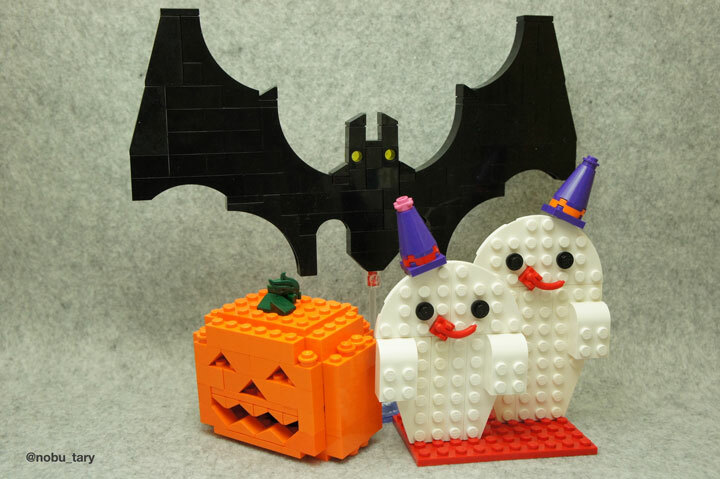 These super cute Lego Halloween decorations are the creation of nobu_tary. 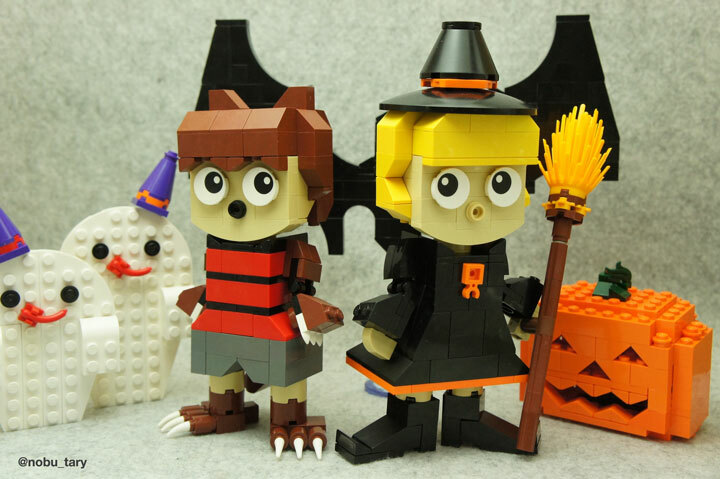 These brick built figures are dressed up as a Werewolf and Witch. The details are all well considered. For instance the SNOT style building, which is a Halloween approved acronym. The end result are two very cartoonish Lego figures full of character. Also included, are a handful of other Halloween builds. Two of the more adorable and simple ghosts are ready to scare any trick-or-treators. The sausage based mouth is ingenious. There is also a huge bat (giving off Batman vibes) and a light-up jack-o-lantern.